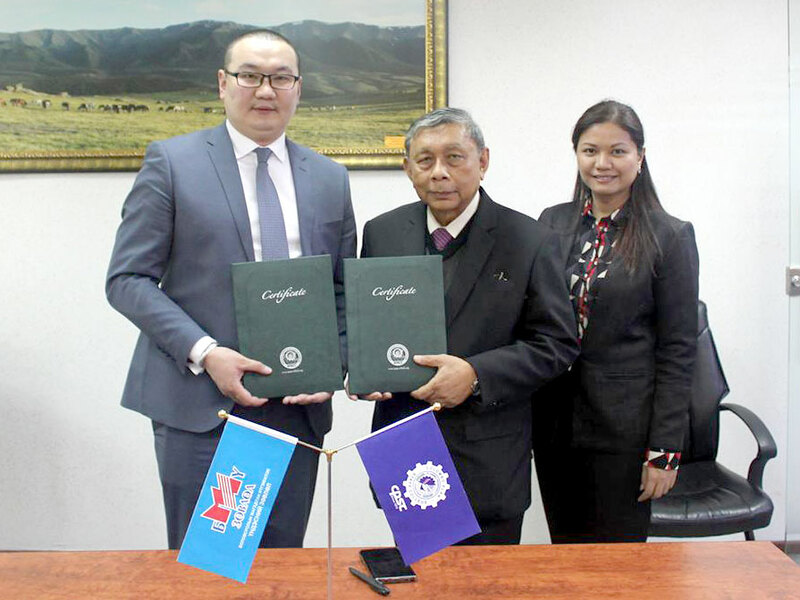 To mutually support and advance the core principles of accreditation and certification of Technical and Vocational Education and Training (TVET) systems in Mongolia, the Asia Pacific Accreditation and Certification Commission (APACC) and the Mongolian National Council for Education Accreditation (MNCEA) signed a Memorandum of Understanding on March 29, 2019 at MNCEA Office in Ulaanbaatar, Mongolia. MNCEA is Mongolia’s quality assurance agency for higher and technical-vocational education. It conducts both institutional and program accreditation. Dr. Ramhari Lamichhane, APACC President (represented by Ms. Adrienne Abril, APACC Officer) and Dr. Ariunbold Jaaljav, Vice Chairman and Director of MNCEA Secretariat signed the MOU on behalf of their respective organizations. The parties agreed to promote the objectives and goals of APACC as a mechanism to encourage TVET institutions, such as polytechnic and technical colleges in Mongolia, to undergo self-study evaluation under APACC procedures and standards, and jointly organize capacity building trainings for Mongolia’s reviewers and specialists, among others.